The “Let’s Talk” forum is a safe place for teens and young adults to talk about their feelings and experiences. Dealing with a dysfunctional family, roommate troubles, school issues, addiction, stress and anxiety, depression…? 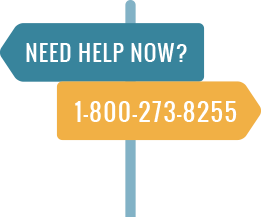 We’re here to talk about it all, and to help each other on the path to recovery! Anyone may read the forum posts. In order to post your own questions or experiences, you must register for an account with a valid e-mail address, username, and password. Forum members who are active participants in the discussions may submit applications to become moderators of the forum, which is a volunteer effort. Please click here to apply. How can I suggest a thread? The “Let’s Talk” forum threads are generated by administrators. Users may submit their own ideas for threads here. Administrators will review the suggestions and respond. In order to make the forum a safe space for our users, we ask that all forum members follow standard rules of Internet etiquette. Be polite. Please think before posting a response to someone—would you like to receive the message you’ve written? Abusing, harassing, stalking, threatening, degrading or otherwise violating the legal rights—such as rights of privacy and publicity—of others. What happens if someone says something inappropriate or concerning, or breaks the rules? Our administrators and moderators are on the lookout for anything concerning, but EVERY registered forum member is expected to help. If you see something—say something! By reporting posts on the website that you find to be inappropriate, you help make our “Let’s Talk” forum safe for everyone. We also utilize an automatic filtering system. A moderator receives a notification that a specific post on the website has been reported. The moderator and an admin review the post to determine the concern. If the post violates forum guidelines, it will be removed and the user will receive a warning. If the issue is related to concern about the poster’s wellbeing, we will email the poster and make every effort to reach out to them to make sure they are okay. If the post is not removed, the moderator will provide an explanation to the person who reported it. What if someone persists in posting inappropriate content? The first time a forum member posts something that violates the safety rules, the post will be removed and the member who created the post will receive a warning. If it happens a second time, the member will be suspended from posting on the forum for two weeks. If it happens a third time, the member will be permanently banned from posting in the forum. Fill in your details below to apply to become a moderator.